Although there is no minimum score required to pass the examination, a test report form is given to the test takers and the score ranges from 1 to 9. A band score of 1 implies “non user”and a band score of 9 implies “expert user”. Institutes are advised to accept score of the last two years only unless a candidate proves that he has worked to maintain his level of English Language Proficiency. 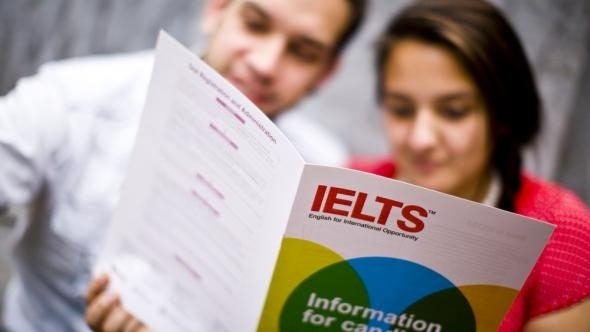 The IELTS test, like TOEFL, is divided into 4 sections namely: Reading, Writing, Listening and Speaking. Reading (30 Minutes): The reading is divided into four subsection of 10 questions each. Actually 30 minutes are for the tests and 10 minutes are given to transfer the answers to the sheet. Subsection 1 is all about conversation between two people. Subsection 2 has one person delivering a lecture or is communicating some idea. Both the subsections take up issues which happen around us. Subsection 3 is a conversation between two speakers. Issues can be like discussion between students and it may or naot be guided by a mentor. Subsection 4 has one person delivering a lecture on an academic subject. In the beginning of each subsection, there are instructions which inform the test taker about the situation and the speakers. Each subsection can be heard only once and hence, a test taker should be very attentive. Reading (60 Minutes): Reading paper is further divided into three subsections and these have many questions type like multiple choice, short answer type, identifying information, writer’s view, labeling diagram, summary completion. Subsection 1 of reading paper has 3 short texts and many shorter texts which take up issues of our day to day life. The objective is to assess common understanding of an individual’s understanding of communication process. Subsection 2 is all about understanding work and work descriptions or trainings/contracts. Total words in the reading paper is 2150-2750. Subsection 3 is normally a descriptive text about a topic of general interest. It is normally more difficult than subsections 1 and 2. Writing (60 Minutes): This subsection tests an individual’s ability to present his/her ideas in a coherent and logical manner. In task 1, which is normally an everyday situation, of the writing paper, a test taker is expected to write 150 words in about 20 minutes. In task 2, dealing with a topic of general interest, test takers are expected to write 250 words in about 40 minutes. A candidate is not expected to present his/her ideas in bullet points. He/she has to write in full sentence. Speaking (11-14 minutes): Speaking test is an interview between a test taker and an examiner. It has three subsections or parts. First part is Introduction and Interview (4-5 minutes). Test taker is asked question about him/herself such as work, family, hobbies, future plan etc. Second part is Long Run (3-4 minutes), where the test taker is given a minute to prepare for a task and he/she has to explain the task (on the basis of predefined points) in the talk. A test taker is expected to talk for about 2 minutes and the examiner may ask 1 or 2 questions during the talk. Third part is Discussion (4-5 minutes) and it involves discussion between the examiner and the test taker. The discussion is normally on the talk of long run mentioned above. In this way the entire test is conducted and score is awarded (Ranges from 1-9). However, it should be noted that grammar and spelling errors are considered very seriously in the examination and marks are deducted for committing these errors in all the sections. We believe that the test is not at all difficult for someone who has working knowledge of English. At the same time one has to understand the paper structure and process completely to ace the exam.